I’m a die ha rd Jasmine lover and an Oolong fan so this new No. 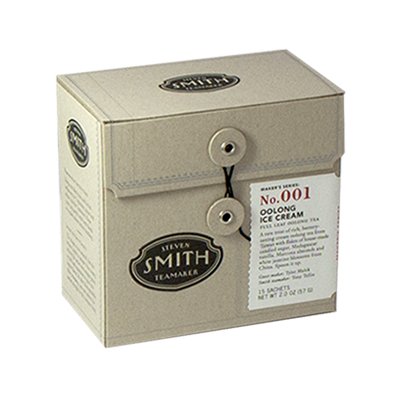 001 Oolong Ice Cream Tea from Smith Tea sounds truly tempting. Blended in collaboration with the local Salt & Straw ice cream wizards, this loose leaf creation combines jasmine petals, buttery Oolong, vanilla and Marcona almonds. Not sure if the candy pieces included will make it too sipping sweet for me but it’s definitely on my try list. Click here to read more about how the masters came up with the final product: Maker’s Series 001.